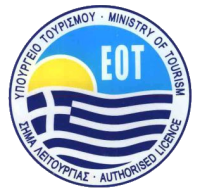 Location - Ενοικιαζόμενα Δωμάτια "Δάφνη"
Nikiti is placed on the North part of the Greece, southeaster ward of Thessaloniki in a distance of 95 km. Preciasly is placedat the beginning of Sithonia, peninsula of Chalkidiki. On a tour in Nikiti you can admire glorius beaches with the combination of green and blue, as when the wind blows gently the pine trees meet the waves. In particular you can enjoy endless majestic landscapes,picturesque small ports, wonderful golden beaches, solitary bays near olive groves, lovely meadows, deep green forests and also the amazing architecture of houses and churches. You may enjoy great beaches in tune with green and blue, while with a breeze pines meet the waves. The natural beauty and the hidden treasures of this earthly paradise will captivate you and offer you a peaceful atmosphere for your holidays.With population at about 3000, Nikiti is held as the first village in Greece for apiculture. It is a magical place and attracts many tourists. The vicinity of Nikiti is characterised by olive groves, pine woods and by numerous smaller swimming bays,which are worthwhile to discover. Generaly in Sithonia you will realize that each place you meet is so different, so unique and seductive. A tour at the villages around Nikiti, such as Vatopedi, Metamorphossi, Agios Nikolaos, Pirgadikia, Sarti, Neos Marmaras, Vourvourou, Ormos Panagias and Sikia will fill you with new experiences and amazing images from the folk architecture of the houses, the wonderful piney beaches and the flowery squares. The Sithonia peninsula provides various entertainment venues. Restaurants, taverns, cafeterias, clubs, bars are in your disposal everywhere in Sithonia Chalkidiki. Tourists from all over the world admire the narrow twisted village lanes with the Kafenions and the port at the "Paralia", with a long sandy beach with the boardwalk and many fish taverns. Sithonia has recently been developed, because people want increasingly place to stay. Tourists from all around the world who search a peaceful and heavenly place for their holidays choose Sithonia.